"Live for the weekend," they say... It is sad but a true phenomenon. 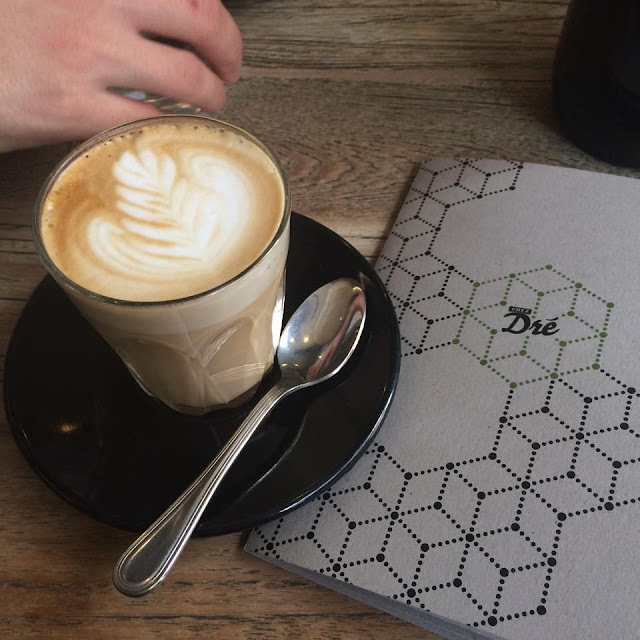 How can you not when it is the only precious time you get the leisurely time to catch up with friends, explore the nooks and crannies of the city…and brunch. Yes, even the word brunch, when rolling off your tongue, sounds leisurely. On a gray Saturday morning, Steven, Ravy and myself took the 40-minute drive across town to sample the famed eatery, Chez Dré. I have no idea what Chez Dré means, but the food looks good on Instagram, we were hungry and keen for a bit of an adventure. Thanks to the ever-trusty Google Maps, we arrived at South Melbourne without so much as missing a turn. We were greeted with a floor-to-ceiling glass, minimalist warehouse-style café/bakery with the most gorgeous cakes in the display, Bibelot. Wait, what is a *Bibelot?? We are here for Chez Dré. Perhaps the café has changed management or moved premises? 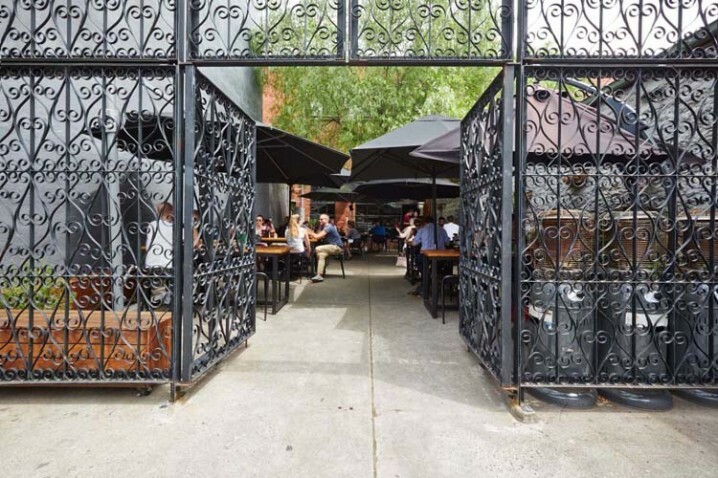 Mind-boggled but persistent to uncover this mystery brunch place, the ever-resourceful Ravy offered to venture in the alleyway to check if perhaps Google Maps had fooled us. 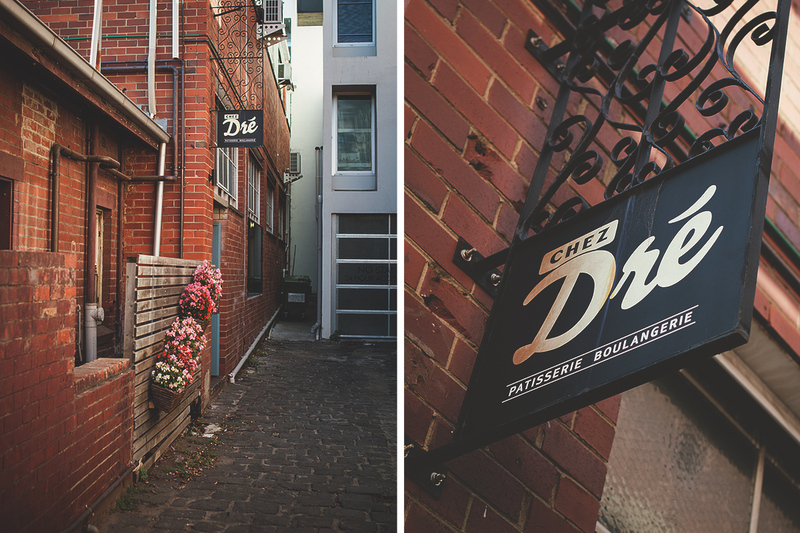 It turns out that Chez Dre, in true Melbourne fashion, is nestled in an alleyway away from the busy main street. We treaded along the cobble-stone path, pleased by the absence of a line, only to be told by the waiter that we would need to see the maitre'd “at the front”. So we walked back to the front, which was Bibelot is located. Puzzling, indeed. 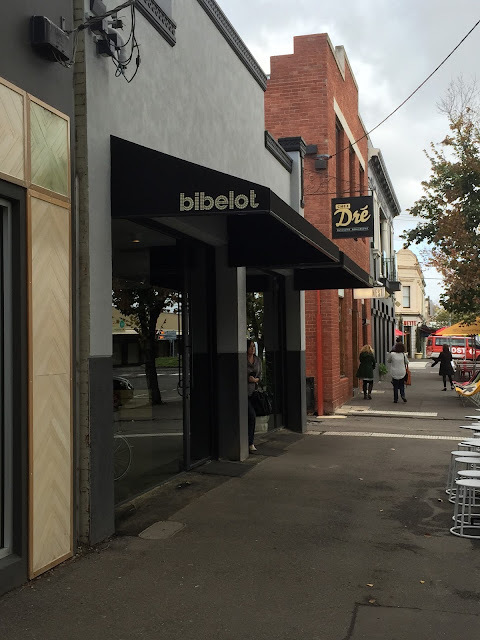 At that point we were literally standing at the doorway of Bibelot, wondering if that was the front entrance to Chez Dre, or should we risk looking like a fool by asking the barista at Bibelot where Chez Dré was. Finally, we decided that there must be another entrance to Chez Dré, perhaps only accessible via the interior. So we went back to the alleyway entrance, walked through the spread of delicious pattiseries, the industrial kitchen, the buzzing patrons. We walked pass a courtyard with lush greenery and finally, saw the maitre’d. Outside the rustic brass gates were the brunch crowd, groups of four and five, all waiting to worship the brunch god at the altar of beautiful food and coffee that is Chez Dre. We were told that there would be a 20-minute wait. Though our stomach were grumbling, we have came so far to concede. 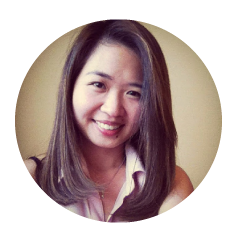 Plus, a 20-minute wait is nothing compared to 2.5 hours at Chin Chin on a Thursday night. Plus, time passes by so fast with good company. Before long, we were seated by the window on moss green chesterfield booth seats. The waiting staff was kind and patient, even using Instagram to explain their specials to make sure we would enjoy our food. Steven and Ravy ordered the Confit Pork Belly (with poached eggs, yuzukoshõ pumpkin purée, rainbow chard, crispy prosciutto, pain d’épices crumb & toasted baguette) while I had the pulled pork burger. The crackling was…well, crackly crispy, the pork belly was juicy and succulent and the various elements on the side were…for the lack of a better word, well-balanced. I think I need to stop watching Masterchef or any other cooking reality shows, because the only way I can describe the pork belly dish is that it is a symphony of flavour and texture. The pulled pork in my burger was smoky, juicy and tender. The red cabbage that topped off the burger gave the dish some freshness that it needed. 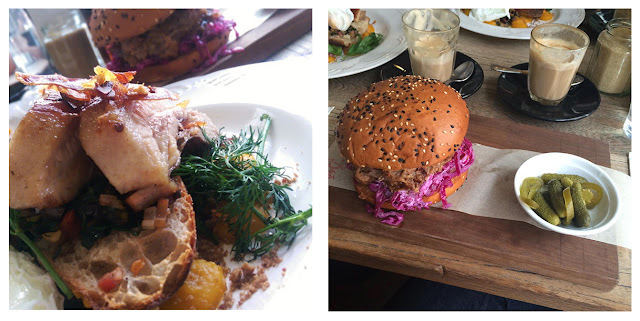 Living up to its reputation of a trendy brunch joint, the burger came with a side of pickle, one of the ‘it’ food of 2015 that has resurfaced from the mouldy depths of our grandparent’s pantry. Overall, it was very enjoyable. Yes, it’s another one of those hybrid food. Just like a cronut (croissant + donut), a cruffin is a croissant + muffin. When I first read about the cronut craze, I did not understand why people cannot just enjoy a croissant as a croissant, but one bite of the cruffin and the obsession became clear to me. You know how people say that interracial offsprings have struck the genetic lottery and all grow up to be some kind of glamorous supermodel/actress/anything in the show-biz… Well, hybrid food is sort of like that. Instead of having to get three different types of food to fulfil your tastebuds, now you get to have it all in one bite: The crispy texture and rich taste of a croissant, in the shape of a muffin and indulgent heap of PB&J filling. It is 21st-century instant gratification at its best...or worst, I can't decide. Oh, but what a sinful delight! 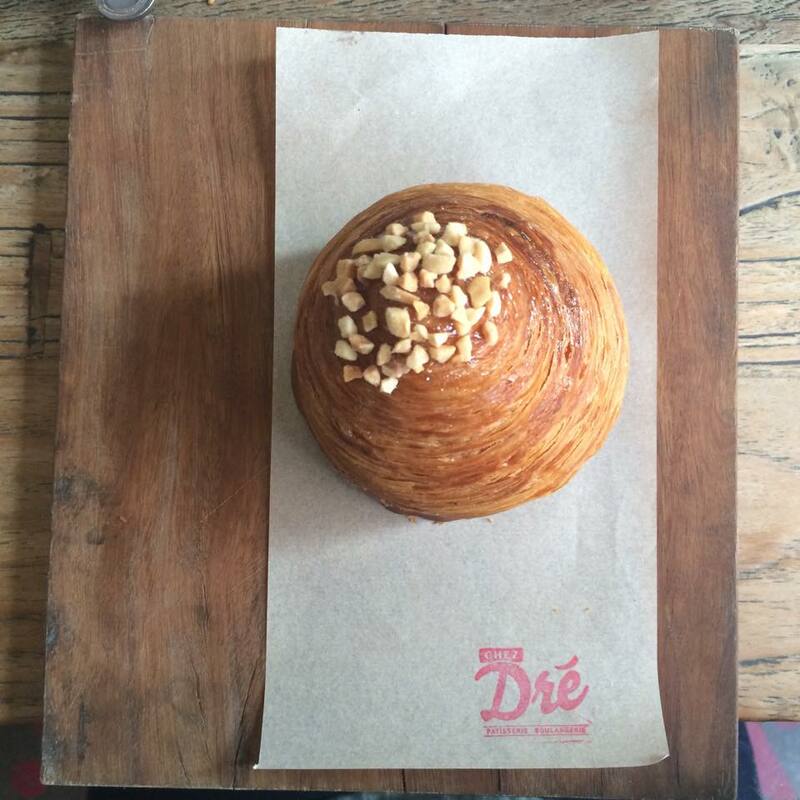 The cruffin was definitely the highlight of my Chez Dré experience. As you can see, my life is not that exciting. But after a wonderful brunch over coffee and conversation, we are ready to bid adieu to Chez Dre. Since we were only a short walk away from the famous South Melbourne Market, we decided to take a stroll there. It’s a shame that after living in Melbourne for more than 6 years, it was my first time there. 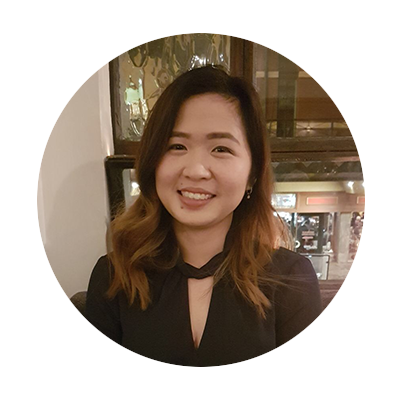 The only thing I know about South Melbourne Market is the infamous South Melbourne Dim Sim, and though I might be hated for this: I’m not a big fan of it. But I am a fan of the South Melbourne Market. Dare I say it’s better than Victoria Market? Well, each are good in their own way. I find Victoria Market is more geared towards tourists, while South Melbourne Market offers the sort of market atmosphere you might find, say...in the Camberwell market. Apart from your standard poultry, fish, vegetables and fruits, you get a variety of pot plants, flowers and humongous chrystanthemum. Seriously, they’re about the size of my head in diameter. 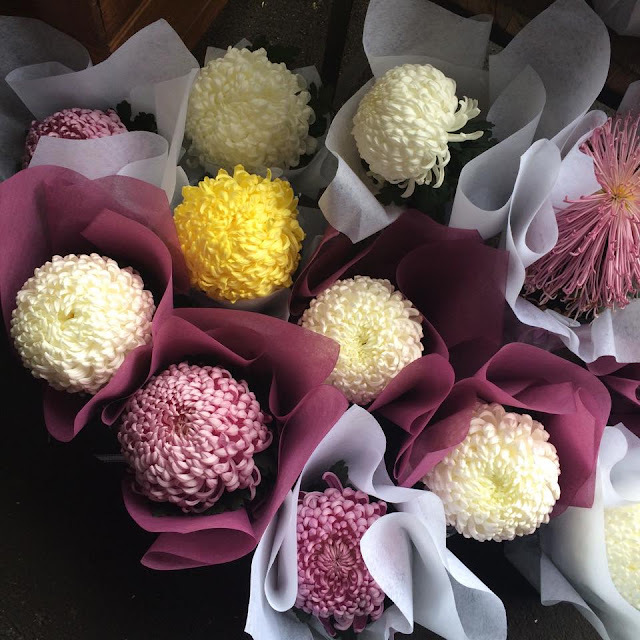 Knowing that it was Mother’s Day eve, Ravy and Steven stopped by the florist to buy some flowers for their mum before we left South Melbourne. Steven the filial son even went above and beyond, stopping by a store that sells organic, handcrafted soaps. Seriously, they smell divaaaaine. With a live band busking outside and the smell of street food around the market stall, South Melbourne, just outside of the concrete jungle that is CBD, is a lovely, vibrant albeit expensive place to be. *Bibelot is the elegant and maybe, know-it-all sister of Chez Dré: A pattiserie, gelateria, espresso bar, chocolate shop, high-tea salon and bookshop.